What is a Washington Living Will? Washington Living Will: What Is It? A Washington living will is commonly referred to as a healthcare directive. 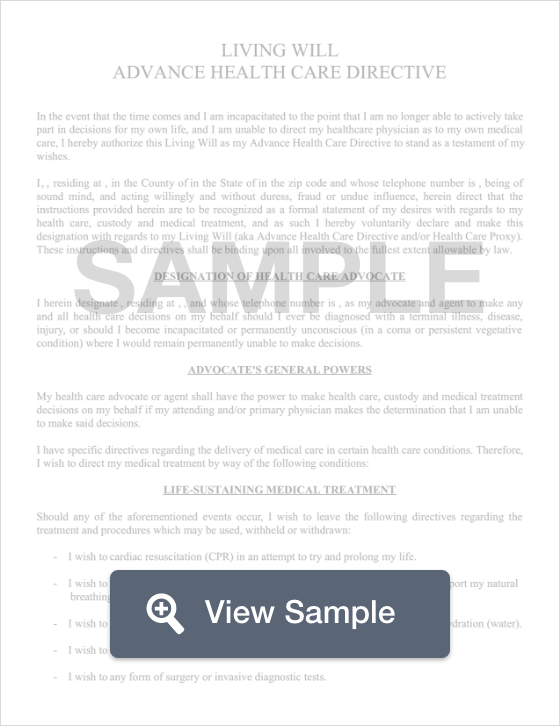 This document explains your wishes if you are unable to voice your decisions related to medical care. A Washington living will also names an agent who will make your medical decisions during that time. Your agent cannot be your doctor, an employee of your doctor, or someone who owns or works for a healthcare facility where you are a patient or a resident. A Washington living will should be signed in front of two witnesses. RCW 70.122.010, et seq. : The Natural Death Act allows competent adults to create an advance directive to express their desires for medical care, including whether they would like to withdraw or withhold artificial nutrition and hydration. Witnesses to the declarant’s signature may not be related to the declarant. A living will is not the only document used to get your affairs in order. You should also create a Washington last will and testament.